View all of our photos from each event. 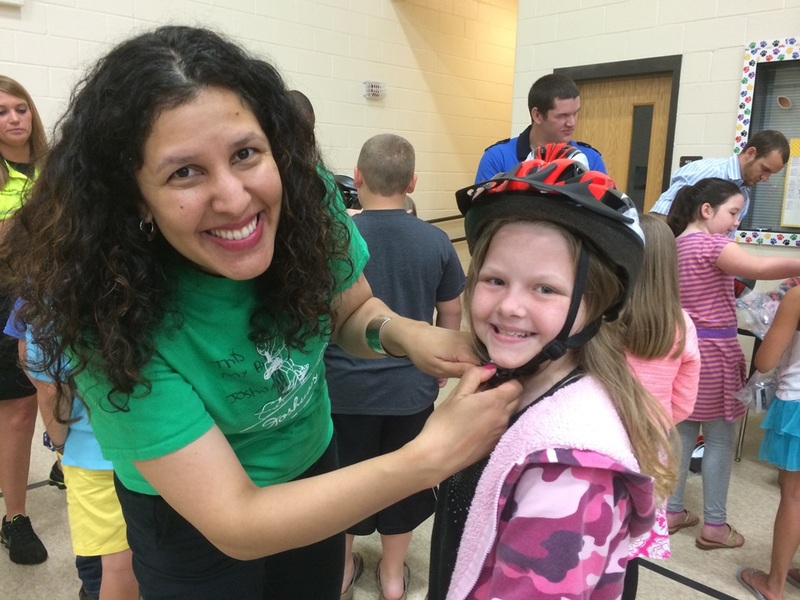 Richard Childress Racing (RCR), the Childress Institute for Pediatric Trauma and Wake Forest Baptist Health – Lexington Medical Center are teaming up to promote bike safety with several education events at local elementary schools in the Piedmont Triad. The bike safety education program will feature several RCR pit crew members, the Davidson County Sheriff’s Office and officers from the Lexington Police Department’s bike patrol. The guest speakers will talk to students at Welcome and Tyro Elementary Schools about the importance of bike safety, stressing the importance of wearing a helmet to prevent brain injury. The students will also be properly fitted for, and receive, a free bike helmet, courtesy of Active Routes to School.